Is Ophiuchus the 13th Astrology Sign? Are You ‘Not’ Who You Really ‘Are’—has your Zodiac Sign changed? 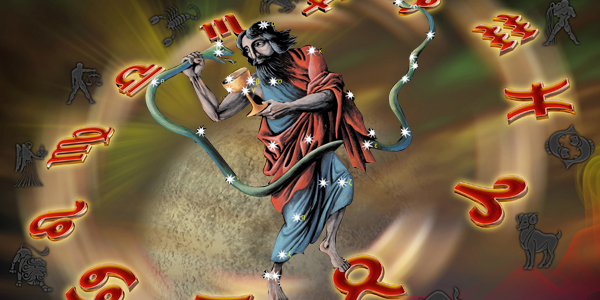 You may not be the one you thought you were… the discovery of Ophiuchus forces you to think that! There is news across the air that there is a new 13th Zodiac Sign Ophiuchus (pronounced as Oh-fee-YOU-cuss) and so, the Zodiac you belonged to, is no truer! You may be wondering about the fact that you went to bed last night as an Aquarian and woke up as a Capricorn. Well, Ophiuchus is a constellation in the western sky culture. The image depicts a “snake bearer”. The snake itself is actually depicted in a neighboring constellation called Serpens. Ophiuchus is just the human silhouette part of the image. Ok, so what does this have to do with Astrology and Zodiacs? So, how did this myth on “13th Astrology Sign Ophiuchus” begin? It began when astronomy professor Parke Kunkle of Minneapolis Community and Technical College told the Minneapolis Star-Tribune about the precession of stars over time. He said “Two thousand years ago the Sun was ‘in’ whatever it was in. Now it’s about a whole constellation off from that.” Kunkle’s quote went viral and was picked up by FOX News and other media outlets because people mistakenly assume that Astrology is based on constellations– But that’s not true. So what’s the truth now? Astrology is based on the four seasons, not on constellations — and the seasons don’t change. There is no 13th astrological sign. It means NOTHING for you! Your zodiac sign hasn’t changed. If you were an Aquarian yesterday, you’re still an Aquarian today — don’t worry, you’ll never wake up a Capricorn. Listen to the experts, and don’t believe anything you read until you check the facts. Astrology is a large ocean of predictions and Vedic Astrology is the most ancient and absolute technique of predictions. AstroVed.com works only with authentic astrologers from the branch of Vedic Astrology, and they’ll be sure to keep you informed of the truth. When there is such berserk news sweeping the board, you have an option to understand yourself under an entirely new light by knowing which one of the 27 Nakshatra (Birth Stars) you were born under and how your Birth Star affects your life. Thankfully, your Birth Star will remain the same; no matter how much the Earth wobbles– That might indeed be a welcome sign for everyone. Click here to know what your Nakshatra tells about your personal agenda for LIFE!